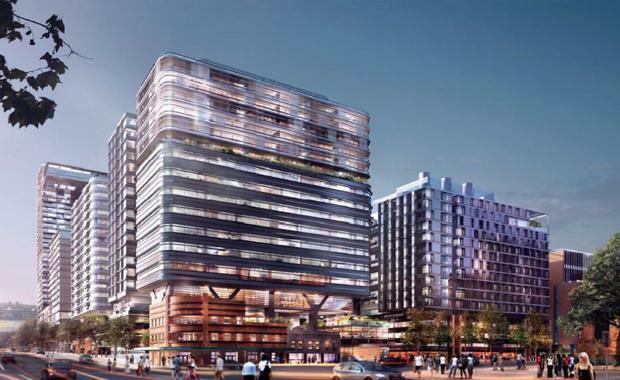 A new childcare centre, office space, residential apartments and a hotel and conference facility will be the latest additions to Central Park on Broadway after the Department of Planning and Environment approved the site's next stage. Known as Tower 4N, the building is a collaborative project from British studio Foster + Partners and Australian firm PTW Architects. At 15-storeys the tower will be stabilised by large transfer supports, which will allow the building to rise above the facade of the Australian Hotel. A spokesperson for the Department said the project would create an estimated 700 on-going jobs and 500 jobs during construction. "More childcare and shops will be a great addition to Central Park - bringing more life and more opportunities for people to the area to live, work and visit the area," the spokesperson said. "The Australia Hotel and Abercrombie Street terraces will be refurbished reviving these key features of the precinct's identity. "The project will also feature a number of sustainable design features including a facade of solar loads; the reduction of mechanical system peak loads; a ribbon window system; and high visual light transmittance glazing, which all aim to decrease the entire structure's annual energy requirements.